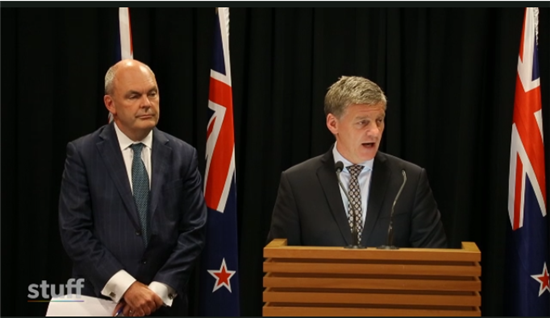 Prime Minister Bill English announcing the retirement age will increase to 67 in 20 years time. The National Government did not introduce a Bill into Parliament. The eligible age for New Zealand Superannuation remains at 65 years. Superannuation has been reset. Prime Minister Bill English has announced that the age for state superannuation will increase up to 67 in gradual steps, starting in 20 years time. Earlier speaking on TV3’s The Nation on Saturday, English said there was room for change in the superannuation scheme, which meant a change to the retirement age or the formula for calculating super. Following the announcement, English said Kiwis were living longer and healthier lives so adjusting the long term settings for superannuation while they had time to adapt was the right thing to do. Super’s age of eligibility will raise from 65 to 67 between 2037 and 2040, should the proposed changes become law. The changes would not affect anyone born before June 1972. The law that would implement this change would not be put into place until 2018 – after the election. Kiwisaver funds could still be used from 65. The age of eligibility would rise six months every year from July 2037. SuperGold card eligibility would go up at the same time. Also announced is a change to eligibility for permanent residents – who would now have to live here for 20 years before collecting Super, instead of 10. Well, former Prime Minister John Key was adamant that he would not change the age of retirement, 65, when superannuation applies. Key said he would sooner quit than raise the age. 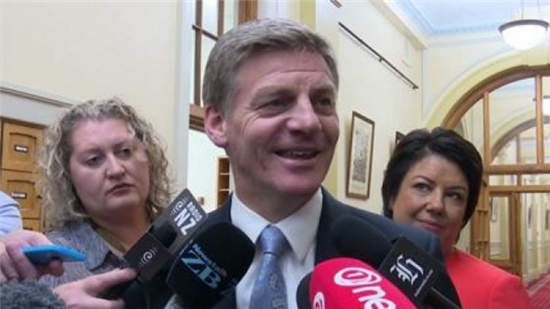 Now he’s quit, and Bill English is evidently not so wedded to 65. Changing the age, the requirements, or the mix of rules around eligibility and rates has been introduced in other comparable countries, but New Zealand has not changed. There are more older people living longer, working longer, and in better health than previous generations. Superannuation costs a fortune, representing about 5 per cent of GDP – or $11 billion a year – to fund. By 2031, super is forecast to cost $20 bn a year. The sustainability of the fund is a longstanding debate. Should it be tweaked to better manage the long-term social welfare support of aging Kiwis? So, what exactly is superannuation? OK, it’s not the sexiest subject. It is important, though. Many argue it’s overdue for an overhaul. It’s a universal tax-funded state old-age pension by another name. Based on your time spent living, working, and paying taxes, the state guarantees financial support in later years. NZ Super is paid to eligible Kiwis over the age of 65 – for now. Anyone who is eligible receives a fortnightly payment regardless of assets, earnings, or savings. The actual pot of money (it’s not really a big pot of money) is managed by Work and Income and, separately, a proportion of the future needs of the state are managed by a Crown entity whose staff run it as an investment fund, putting money from the $33 bn fund into businesses and asset management. You must be a New Zealand permanent resident or citizen to get super. You can currently receive super after the age of 65, even if you’re still working. Compulsory retirement doesn’t really exist in developed countries any more, except for certain professions. To be eligible means living in New Zealand for at least 10 years after the age of 20, and five of those years must be since turning 50. The changes announced today will double this from ten years in the country to 20 – for permanent residents. Time in other countries may count, in some cases, and if you receive a state pension from another country, this may be counted as part of the overall superannuation and your New Zealand payments will be reduced accordingly. Depends on things like relationship status, any payments from other Government departments such as ACC or Veterans’ Affairs, and any payments from other jurisdictions. The rates vary, and depend on things like your relationship and whether your partner is eligible for super or a veterans’ pension. If, for example, a partner is ineligible for a state payout then any income earned may affect the amount paid as a pension. Depending on your tax code and all the other factors, rates range from $586 a fortnight for someone in a relationship to $801 for a single person living alone. If you’re single and living alone, you get about $20,000 a year. A married, or de facto, couple with both partners qualifying gets about $30,000 in total. Other countries such as Australia, the United Kingdom, and Canada have tweaked their old-age social welfare policies. The intent of some of those policies is no longer applicable in the first decades of the 21st century. The argument, at its simplest, calls for the retirement age to increase to reduce the overall burden on core state revenue. In the UK, retirement ages are different for men and women, but next year this longstanding disparity will be abolished and the ages for men and women to retire will be 68. In Australia, our neighbours plan to raise the retirement age to 67. The United States and several mainland European nations also plan to increase the age.